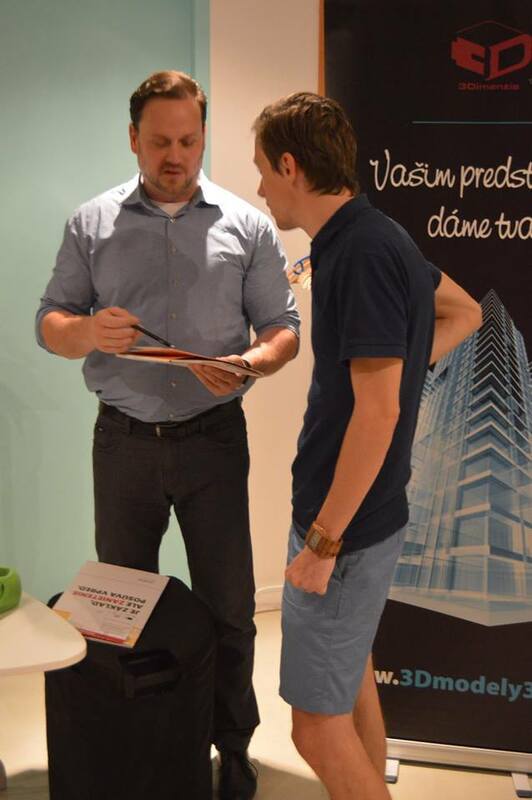 The first MatchMaking workshop took place on 22 June 2017 in Impact Hub Bratislava. The aim of the workshop was to connect manufacturing companies and makers. The workshop was opened by our guests from Austria – Sandra Stromberger, initiator of the competition Industry Meets Makers and Manfred Czujan from the successful innovative company Smartgreen Solutions. Sandra organizes already second round of the competition aimed at engaging well-renowned companies and makers. Manfred is founder of the successful innovative project SmartBeet from the last year competition. Our workshop also included presentations of the Slovak manufacturing companies and makers. Workshop represented the opportunity to present their business or innovative ideas, but also to establish new contacts potentially leading to new collaborations and projects.